The Vancouver Sun analyzed transit passenger “pass-up” data provided by Coast Mountain Bus Company (CMBC - TransLink’s main bus service Operator). The newspaper found four routes where “pass-ups” occur much more frequently than all other routes – 22 Knight-MacDonald, north and south of the Burrard Bridge; 25 Brentwood Stn-UBC along much of the route; 49 Metrotown-UBC between Victoria Drive and Cambie Street ; and 99 Broadway Stn-UBC at several main intersections. Several CMBC managers and the Canadian Auto Workers (Operators’ union) president provide insight into the “pass-up” problem and reasons why it is difficult to address. A fixed service hours budget and limited depot space preclude simply adding more buses. Replacing 40’ buses with articulated ones requires changes to stop lengths and rebuilding loops with tight turning radii. Apparently, CMBC ‘encourages’ its Operators to maintain consistent vehicle spacing between buses but headway consistency is a route supervision (i.e. management) issue. Operators have enough to concern them without having to wonder how far their bus is from the one ahead. The ultimate solution, according to TransLink, is the “Compass” smart card that will be implemented in 2013. This will allow TransLink to offer different fares at different times of the day. Higher fares in the peak periods could encourage some customers to shift their travel times, potentially providing some relief on overcrowded routes. 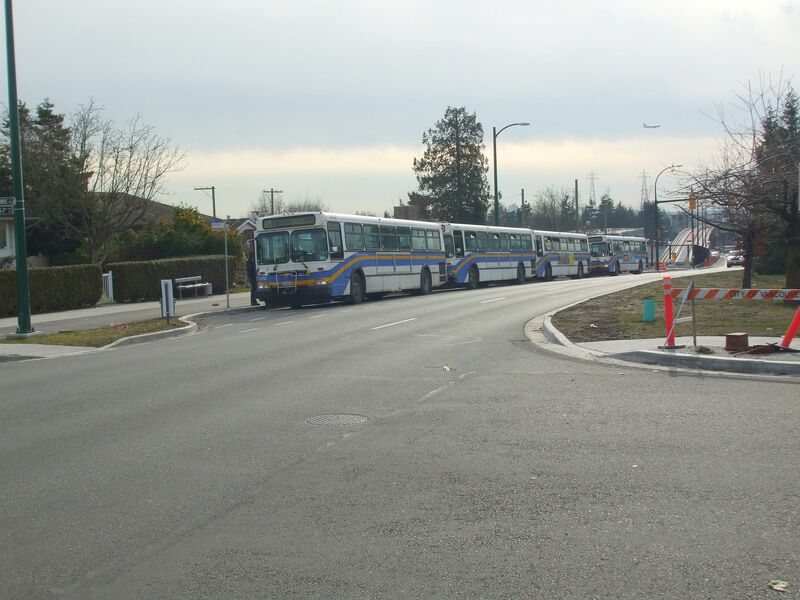 However, the article doesn’t question if CMBC is making the most efficient use of TransLink’s buses. Regular transit users know that Vancouver’s buses spend much time at terminals and certain intersections not moving. There are valid reasons for idle time; it allows vehicles to get back on schedule and provides Operator breaks. But, given overcrowding problems, is so much slack time the most effective way to solve these issues? Are there other ways to keep buses on schedule and provide Operator breaks but keep buses moving and picking up customers? Experience elsewhere suggests there is. The Toronto Transit Commission (TTC), for example, allows Operators to arrive at terminals, a mere two minutes before their scheduled departure time. It still manages to run an effective service (one of the highest fare box recovery ratios in North America) and provide Operator breaks. It does this using on-street Route Supervisors and electronic vehicle tracking. Service adjustments are made ‘on the fly’ to meet customer demand and return vehicles to schedule. Operator breaks are provided as part of the Operator’s schedule and not the vehicle’s schedule, thereby keeping vehicles in service and picking up passengers. The TTC also implements schedule changes much more frequently than most transit systems (8-10 times / year vs. 4 times / year). This allows it to be much more responsive to changes in passenger loads by re-assigning service from lower performing routes (and route segments) to those with crowding issues. Closer to home, a Seattle transit system audit estimated savings of up to $23,000,000 by tightening bus schedules. Vancouver may not be directly comparable to Seattle but this is an order of magnitude estimate of potential savings that could be used to revamp bus schedules to alleviate the “pass-up” problem. 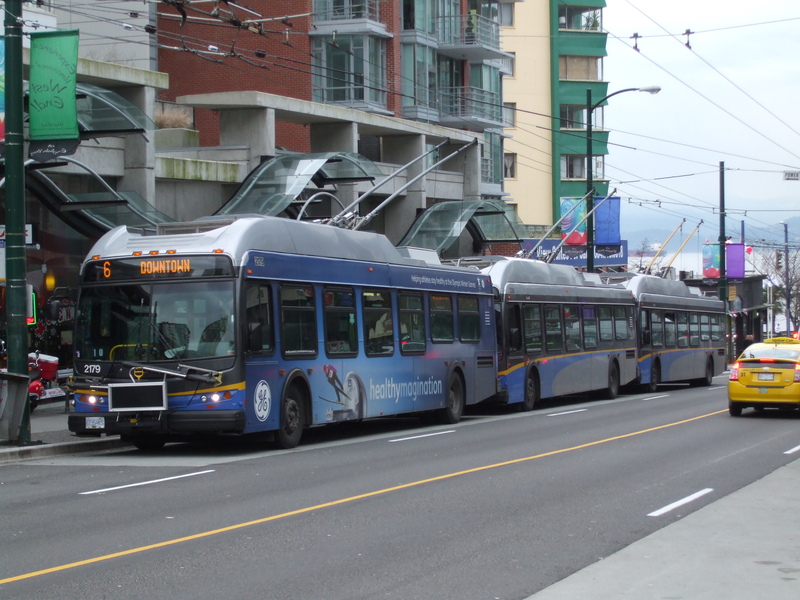 There may be contractual, operational and political issues that prevent CMBC from overhauling its bus schedules and operational procedures but shouldn’t TransLink and CMBC assure taxpayers that they are using the current bus fleet most efficiently?